© Jaelynn Castillo/Unsplash Smartphone Reached the end of your mobile contract? Ready to upgrade? You've got more choice than ever when it comes to picking a new smartphone. But that also means that sifting through the specs and makes and models can be overwhelming. We're here to simplify it for you. To make this advice as universal as possible, we've stopped short of recommending particular phones, but you should be able to use the guidelines below to make an informed choice about whatever handsets are currently on the market. For some, the software platform that their new phone runs on is the be-all and end-all of their phone choice; for others, it barely matters. So what are the main differences between iOS and Android? These platforms are actually more similar than ever, as they've been borrowing features from each other for years. Most of your favorite apps, from Facebook to Spotify, will run just fine on both. And they offer the same fundamental features to let you do everything you would want on a modern-day smartphone. That said, Android remains the more customizable mobile operating system. If you want to, you can (for example) change the default SMS app or the default browser; you can also revamp all the icons and widgets to create a truly personalized interface. Apps can also hook into deeper parts of the phone, which means they can perform extra tasks. So some Android apps let you record calls you make—iPhones just don't let apps dig that deep into the system. iOS is more polished but more restrictive than Android. For better or worse, Apple's iOS is more limiting in what it lets apps and users do on iPhones. Its fans would say that makes for a smoother experience, while its detractors would say it's too restrictive. For instance, you can install Outlook and Gmail on an iPhone, but when you tap to email one of your contacts, the app that actually opens will always be Apple Mail. iPhones are also designed to work primarily with other Apple gear, like MacBooks and the Apple Watch. However, you can still easily sync your phone with iTunes on Windows or use it without a computer at all. To choose between Android and iPhone, you also must think about the other apps and platforms you use. Despite some of the debates you might read online, Android and iOS are pretty much neck-and-neck in terms of performance and features. Each has its own feel and way of working though. So if you're already on one platform or the other, try grabbing a friend's phone for ten minutes to see what the other side looks like. Unless you're only just old enough to be getting your first phone, picking between Android and iOS is less about comparing the two and more about considering whether it's worth the effort to switch. It's no wonder Apple and Google want to lock users into their apps and services as tightly as possible. 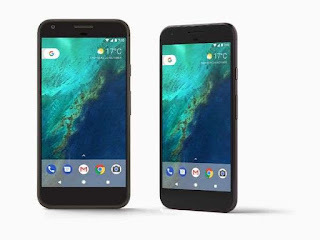 If you're heavily invested in the Google ecosystem—Gmail, Google Drive, Google Photos, and so on—then switching between Android and iOS is pretty straightforward, whichever direction you're going in, because all of Google's apps are available on both platforms. You just install the Google apps on your new phone and away you go. 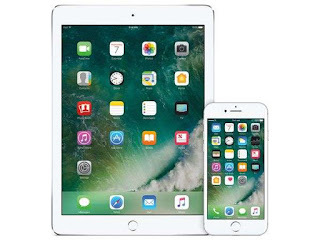 However, if you've already spent a long time on the Apple side of the fence, then moving over to Android can be a real headache—you need to extract yourself from iMessage, for instance, and none of the movies or shows you've bought on iTunes will work on Android (to watch them, you'll need to use iTunes on a computer, an iPad, or an Apple TV). To be clear, it's not impossible to switch from iPhone to Android, but it can be difficult if you aren't already using a lot of Google services on your Apple device. It largely depends how tightly tied you are into Apple's various services, such as iCloud and Apple Mail, as you don't get these apps on Android. The one major Apple app you do get on Google's platform is Apple Music. For a lot of people upgrading from an existing phone, the easiest decision is to just stick to what you know. The process will be quicker, and both iOS and Android let you set up a new phone from an old one, which means you can transfer a lot of your stuff over to your new handset very simply. That said, we'd also recommend checking out what the other side can offer, in case some new feature or function catches your eye, or you just prefer the interface. It might be worth your while to switch to an iPhone if you've just bought a MacBook and an Apple TV, or to switch to Android if you notice that you're mostly using Google apps on your iPhone. Smartphone specifications are broadly similar to computer specs: The processor controls how fast the phone can "think," the RAM (Random Access Memory) determines how much the phone can think about at once, and the storage space is how much room it provides for all your apps, music, games, and other files. On top of that, you of course have the screen size and resolution. These affect the sharpness of images and text on screen, as well as how easy the phone is to hold in one hand. Options for the small-handed are dwindling in number, as the trend seems to be for bigger and bigger screens pushing phones closer to tablet territory. However, unless you're going to the very low-budget end of the market, or the ultra-premium high-end, smartphone specs don't matter too much—much less than they do on your laptop. Any modern-day phone can run Facebook and Instagram, and you don't need to splash out on the very latest hardware unless you want the top-end games and intensive apps like video editors to run at top speed. 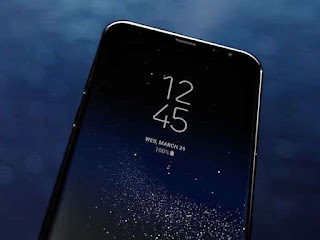 Other details to look out for are waterproofing and dust protection, and whether the phone accepts a memory card for expanding the on-board storage (some Android handsets do but this isn't available on iPhones). Another perk to keep an eye out for is wireless charging: A lot of phones now offer this feature for extra convenience. One of the most important specs for any smartphone buyer is the quality of the camera, which is usually listed in terms of megapixels (the size of the pictures) and aperture size or f-number (how much light the sensor lets in). More megapixels and a lower f-number usually means better pictures, but many factors combine to determine the quality of a smartphone camera. When weighing your camera decision, you should also check out professional reviews, user reviews, and sample shots online. Finally, battery life is another important consideration. Phone battery size is measured in mAh or milliampere hours, with a higher number meaning more juice. But of course many other factors, like the screen size and resolution, will affect how quickly this runs down. Again, check out the reviews you can find online and take the manufacturer's quoted battery life with a pinch of salt. The final consideration, and perhaps the most important for many of us, is price. One quick way of narrowing down your choices for a new phone is to just set your budget and see what's available in your price range. Android phones have a lot more price points than iPhones do. In addition to their expensive flagship phones, most of the major Android manufacturers also offer decent, mid-range versions for those on a tighter budget or with less demanding needs. That said, Apple does provide a few options beside the latest iPhone: They usually put the previous year's iPhone on sale, and has recently been offering the iPhone SE as a smaller, cheaper option for buyers. 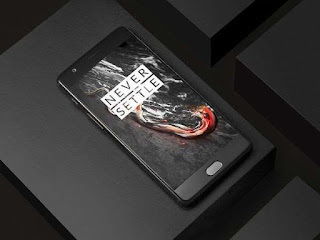 For the most part, phones that cost just a few hundred dollars will serve you just as well as those that push closer to a thousand dollars, but you might have to sacrifice some screen resolution, camera quality, or app loading speed along the way. For the phones on your shortlist, check out a few professional online reviews to gauge whether or not you're getting the right value for your money. Don't forget the refurbed or second-hand option either. Sure, you're getting a handset that might be a little bit worn, but these devices will usually work just as well as the brand-new ones, and the savings can be substantial. Make sure you buy from a reputable source and look for extras like warranties for your refurbed gear. Older phones are an option here too—when new handsets arrive, the previous generation drops in price, even though they're still very capable handsets. Shop around for flagship phones from the last year or 18 months, and you might be surprised to see what you can pick up on a budget. Last but not least, you should also consider the time when you plan to buy. Otherwise, your shiny new handset could be replaced within a few weeks. Apple usually launches new iPhones in September, and Google's Pixels follow soon after. Most other manufacturers refresh their phones around March, though this can vary. So when you've got your eye on a particular phone, check when it launched. If it's coming up for its one-year anniversary, you might be better off waiting for the next version.